Content is a really important part of blogging, it’s one of the reasons people visit blogs. When picking your topic you need to think about what interests you, your hobbies and what you love. You should like what you’re blogging about, not what you think others will like – if your passionate about what your writing the content is a lot better and readers prefer to hear different posts and different perspectives. If you’re not interested in what you’re posting about, it will show and forcing yourself to post will leave you uninspired and the quality of posts wont be as good. There are so many things out there to write about you don’t just have to blog about what everyone else is! Its YOUR Blog! Sometimes its easier just to start blogging and what you like writing about that is OKAY and you don’t have to just stick to one topic! Remember that content is everything, it is the reason people read your blog. Create great content on a regular basis and you’ll see results. Include useful information, detailed descriptions and big clear images. In terms of how often you should update, find a schedule that works for you and try to stick to it. 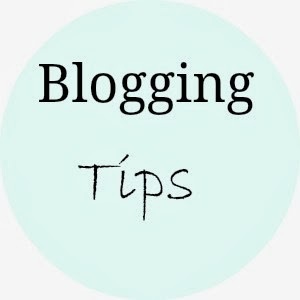 If you blog on Blogger you can write posts when you have time and schedule them to post to fit in with your schedule. If you’re stuck on what to write try creating some series that you can carry through or find some tags that are floating around! Be yourself, if you enjoy what you write then other people will enjoy it too. If they do enjoy it, then they are sure to follow. Try not to compare yourself to others, Rome wasn’t built in a day! You have to work at gaining followers and views it won't happen over night but if you are passionate about what you write the followers will sure come! If you love blogging, then that’s the most important thing. The online blogging community is huge you can make so many friends so just enjoy it! Feel free to drop me an email touchofbelle@gmail.com or tweet me @makebeautyblog if you have any questions! I really liked the reminder never to compare. I am guilty of this. I need to do better about scheduling. I try to stay busy and comment a lot so that I can attract folks to my blog. Thanks for sharing your tips. The Blogger Interview Tag with Ambi! The Blogger Interview Tag with Rachel! The Blogger Interview Tag with Claire! The Blogger Interview Tag with Anneleen! The Blogger Interview tag with Zuniara!